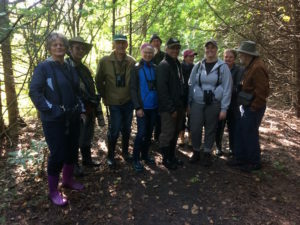 September 10th proved to be a sunny, warm delightful morning as 13 people arrived at Harper Park for the Peterborough Field Naturalists’ inaugural iNaturalist walk. 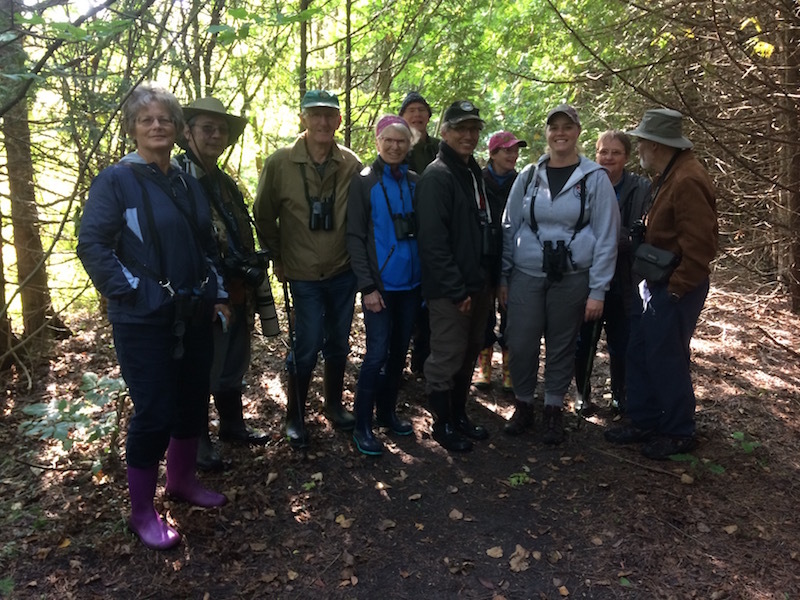 On Sunday, September 10th, field naturalists gathered in Harper Park to learn the ins and outs of the iNaturalist app. In less than 2 hours, 100 observations of plants, insects, mammals, birds and fungi were entered! With smartphones in hand, we gathered for a quick overview. iNaturalist has become a popular method to engage citizens who want to learn about the nature around them, and to document observations of species for further scientific research. An inventory of the species in Harper Park will provide a baseline of biodiversity, and help to monitor and assess changes due to the impacts of development. All good stuff! 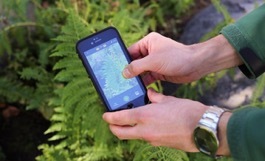 Although iNaturalist is user friendly the website iNaturalist.org and the Getting Started video are worth exploring. But first, everyone needed to make an iNaturalist account from the website, iNaturalist.org. In order to maintain a species list for Harper Park in one spot, The Harper Park Stewardship Initiative Project was setup in iNaturalist. Therefore, the next “to do” was JOIN this project and make certain each observation goes into that Project. Once the App iNaturalist was downloaded onto our iPhone, or android, we were set loose to explore Harper Park and to start submitting observations. With the iNaturalist app, you can easily contribute to the natural history inventory of your favourite places! Evidence involves taking good photos of a particular organism or signs of the organism like tracks, nests or things that have died. Harper Park has some beautiful asters blooming this time of year so that’s where I started. I took 3 pictures of one individual plant and captured the brilliant purple bloom, how the leaves met the stem and the whole plant. There was space for extra notes to further describe the plant, habitat, size etc. Detailed information will help with identification. You don’t have to be an expert. iNaturalist helps you out in this area by listing suggestions. You have the choice of using a suggested I.D., or entering your own identification. Generally the rule of thumb is to suggest identification to the level of your knowledge. I knew I was taking a picture of an aster but had no idea what species it was. I entered Aster. The App fills in the GPS co-ordinates latitude and longitude. Don’t forget to tag this project! The observation uploads and is submitted to the iNaturalist community. My first observation was complete. A particularly interesting spider caught my eye and I proceeded to record my second observation. What happens next is amazing! Within a very short time we were all getting feedback on our observations from the iNaturalist community. They provided specific identifications where possible. My Aster was in fact the New England Aster. When observations have been identified to species level by several people that observation becomes “Research Grade.” iNaturalist transfers Research Grade observations on to the Global Biodiversity Information Facility (GBIF) www.gbif.org where they are stored and available to the public. Scientists use the data to analyze abundance, distribution, behaviour patterns, biodiversity etc. To date 166 observations have been submitted to the Harper Park Stewardship Initiative Project representing 105 species. We’re off to a good start. However, we need YOU to participate. If you enjoy the outdoors, enjoy expanding your knowledge of the natural world we encourage you to explore iNaturalist and become a citizen scientist in Harper Park!